Description: Notes/Transcription: "Burton.. dress you.."
Burtons are a large chain of clothing stores. 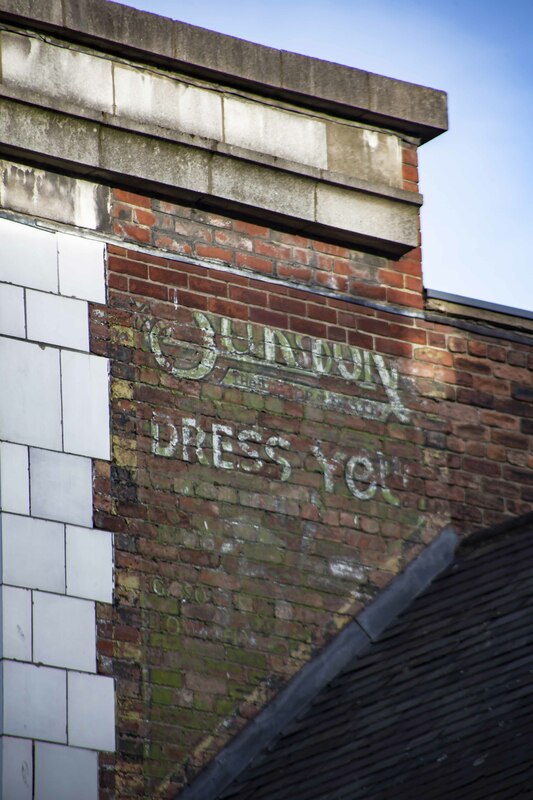 The sign is high up on the building on the corner which used to be Burtons. It is best located by standing on the opposite side of the street almost as far down as the Rose and Crown and looking diagonally up the street to the corner building.